Moving to Trinidad - Compare International Movers & Save up to 70% ! Like any international move, an international move to Trinidad requires a little preparation. A move to a new location can be a daunting experience, so it always useful to have a little information about your destination upfront. Trinidad is the biggest Island of the two which are called Republic of Trinidad and Tobago. Trinidad is located in the Caribbean sea. The economy of Trinidad depends on agriculture and natural gas industries. Trinidad is known as one of the leading gas-based export countries in the world. The Island Trinidad has a tropical climate. Intlmovers is a great way of finding international moving companies that can help you with your international move to Trinidad. Using Intlmovers is one of the most convenient methods of finding the best mover to meet your needs. You can save both time and money, because Intlmovers allows you to compare quotes quickly and easily from up to six international moving companies at once! Complete the easy request form and receive quotes directly for international moves to Trinidad. 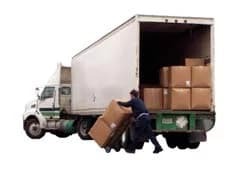 The movers have years of experience with removals to the Trinidad. They have contacts in the Trinidad which can make your removal cheaper. After submitting your request using the easy to use drop down menu on top, you will be contacted back directly by the companies. They will arrange a customized quote for your international move to Trinidad. It doesn’t have to be a hassle chasing around for quotes, because Intlmovers does the work in the background for you. It won’t take you long to submit your moving request, and in that one easy request you can get six obligation free responses!